Escape Room What fruit is never found singly? 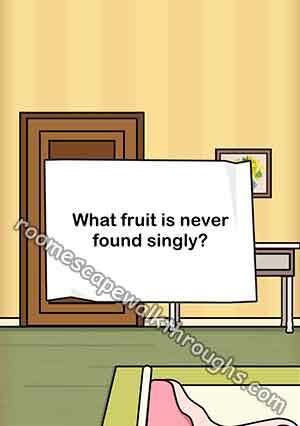 Answers for Escape Room What fruit is never found singly? – look under the bed blanket sheet, there’s a paper with riddle question ! if you’re out of coins to solve this level then look at the clue below for the solution how to solve the puzzle questions ! hint 2 : If you have two socks you have a ….? 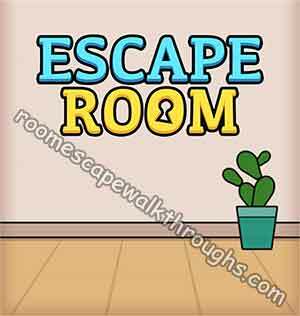 This entry was posted in Escape Room Mystery Word and tagged Escape Room Mystery Word Level 9 on November 21, 2018 by 100doorssolution.